As I have mentioned before, I am not much of a gluten free baker. Don’t get me wrong, I love all the baked goodies, but that is exactly why I can’t have them around the house – I will eat them! But since my birthday was coming up and we were headed to The Melting Pot, I figured I deserved a birthday cake! So I looked in my pantry to see what I could find and then started looking around the internet. I wanted a pound cake or something similar. Something to go with some fresh strawberries but also something to take to my birthday dinner at The Melting Pot for dipping in Chocolate Fondue. For not baking often, I keep a lot of Gluten Free Pantry (GFP) mixes in my cabinet. But this is partly because I can’t pass up a good deal! I often find gluten free items in the clearance basket at my local Smith’s. So I decided to look for recipes using one of the mixes I already had, either the GFP Old Fashioned Cake and Cookie Mix or the GFP French Bread and Pizza Mix. Looking on the glutenfree.com website in the GFP recipe section, I found this recipe. But, since I was at home waiting for a repair guy to show up, I couldn’t really run out and grab some lemon yogurt. Nor do I like to buy the sugared-up yogurts. So I made some modifications based upon what I had on hand and it turned out great! It is lighter than what I remember a Sara Lee pound cake to taste like, but for us it was just right. I also made only half of the original recipe as it was intended for a large bundt cake pan. Preheat oven to 325 degrees. Combine all ingredients. 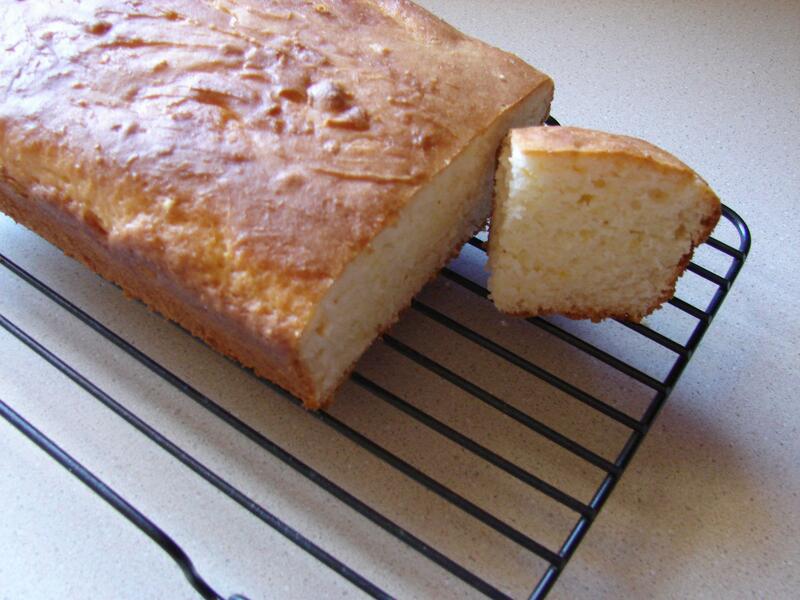 Pour batter into a greased loaf pan and bake approximately 50-55 minutes or until toothpick comes out clean. Cool in pan for about 10 minutes and then turn out onto a wire rack to cool completely.